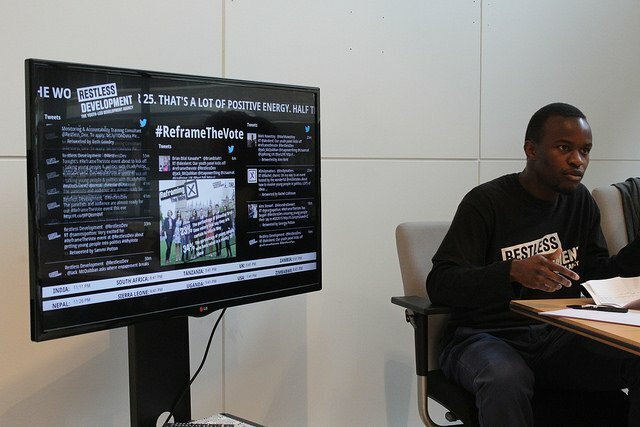 Restless Development's 'Reframing the Vote' event held around the issue of young people & voting. Lucy Winship, a volunteer with Restless Development in India on the ICS programme in 2014, has given us her views about the election and thoughts in response to some of the issues Mita raised during our Reframing the Vote event. 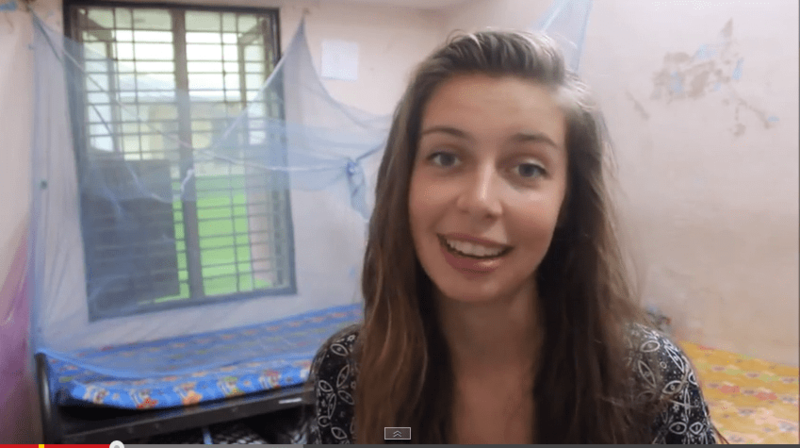 Lucy on her ICS placement in India with Restless Development. I’m very excited, it’s the first time I can vote in the general election and I am really looking forward to being a part of our democracy. I am still undecided about who to vote for so I’ve got a lot more research and reading to do before the actual day, but it is something I am looking forward to doing. Since ICS I have become much more involved in women’s rights and launched a women focused group at University (Xenia). So far that hasn’t involved much engagement with British politics; however I did recently use the Facebook page for Xenia to remind everyone to register to vote. I would say that while I have always been very aware of the political agenda and how that affects me, ICS reminded me about the importance of foreign policy. I have also been involved in two political events with Restless Development; one of them was a Parliamentary Photo Exhibition where I discussed foreign policy with MPs in Parliament. The other was an event called It’s a Power Thing which involved engaging with Birmingham local politicians and discussing the complicated relationship between young people and those in power who instigate change. Mita Desai, Chair of the British Youth Council. Would you have voted if you were given to chance too at the age of 16? I would have loved the opportunity to vote at 16. It angers me a lot that I have been an adult in this society for over three years now but this is the first time my voice is being heard in a general election. I find it highly contradictory that one could join the army at 16 and effectively die for this government, but not the right to vote to bring them into power. 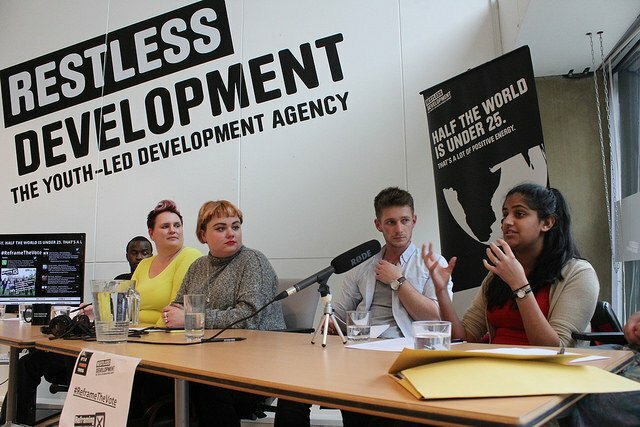 Do you feel enough young people link politics to social issues? If they did, would this increase levels of engagement? I think young people feel very disillusioned with the current system and do not understand exactly how their vote will affect social issues. From conversations with my peers, generally people think that all this political talk is pointless and will have very little impact on actual daily life issues. I think that many were especially annoyed with the Liberal Democrats failure to prevent the rise in tuition fees. After that people feel like all the promises are empty and bureaucracy will ultimately determine social change. I definitely think that if people linked politics to social issues this would increase levels of engagement; at the moment politics just doesn’t seem like a useful avenue. According to the British Youth Council’s manifesto, young people’s top 5 issues for this election are mental health, votes at 16, save our youth service, first aid in schools & a living wage for all… Do you agree with this? What would be your top 5 issues? I don’t feel that I could say what would be in young people’s top 5 as I come from a privileged background and feel as though my experience of life is not reflective of many other young people’s. However in terms of my personal top 5 issues; I certainly think that votes at 16 and living wage for all are in my top 5. The other three issues for me are zero hour contracts, unpaid internships and immigration. Many people around me are trying to work out how to live whilst completing an unpaid internships and I know people who’ve had bad experiences with zero hour contracts though it benefited me as I was able to keep my home job whilst at University. Additionally I am very ideological about immigration and want our country to be as open as possible so I really dislike any talk of limiting our borders.